This is the story of a young boy's adventures as he takes it upon himself to solve the mystery of an 'evil' old neighbour in Geneva, and a missing auntie in Zimbabwe. 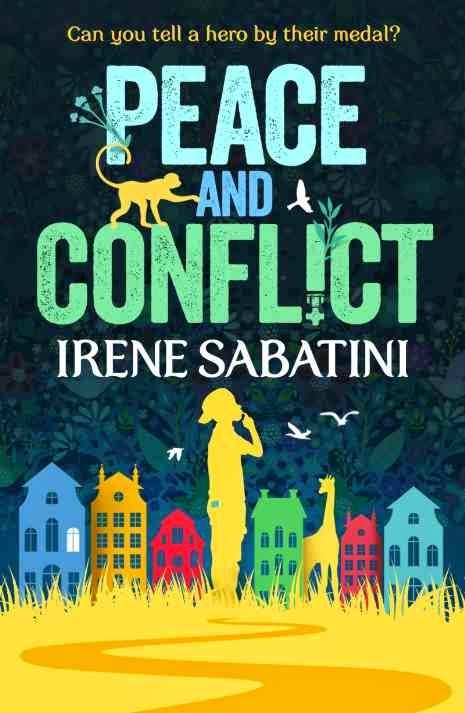 Charming, funny and resonant, this is a novel about how one boy comes to understand what conflict can do to a person, a family, a whole country - and what it means to fight for peace. This is the story of a hero. Ten-year-old Robert knows many things. He knows all about his hometown, Geneva, with its statues and cannons and underground tunnels and the Longest Bench in the World. He knows about the Red Cross and all the places his dad has been on his missions. He knows that his mum is writing a book about vampires and how long his older brother spends practicing his 'swag' poses in front of the mirror. He knows all about animals, too, because his Auntie Delphia is a vet in Zimbabwe. But still he has questions. Is his neighbour, Monsieur Renoir, really evil? Why did he leave a Victoria Cross medal on Robert's doorstep? And why has Auntie Delphia disappeared? In the 'Peace and Conflict' unit in school, Robert learned all about wars and heroes. But as the lives of his friends, foes and family unfold, he discovers what it really means to be a hero . . .